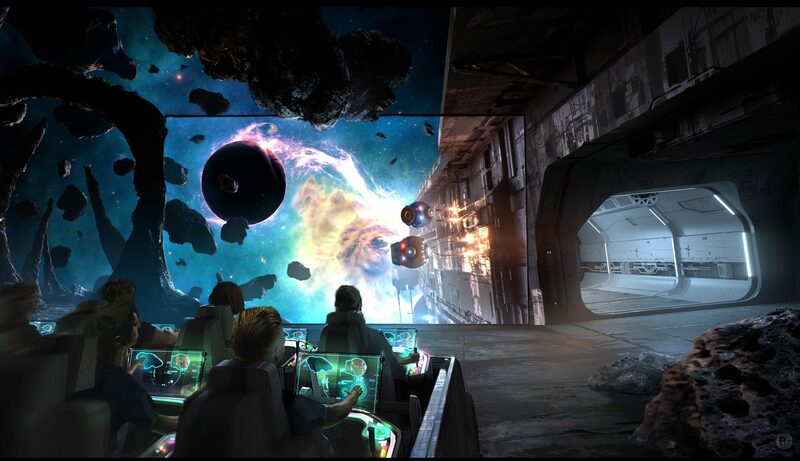 An interactive dark ride where guests come to decision points throughout the ride and, through their interactions, they choose which path to take and control the outcome. Guests are confronted with interactive screens and depending on their actions, they are sent off on a relevant path. As the story continues, options are continuously presented. The direction of the ride and the outcome is controlled by the guests.